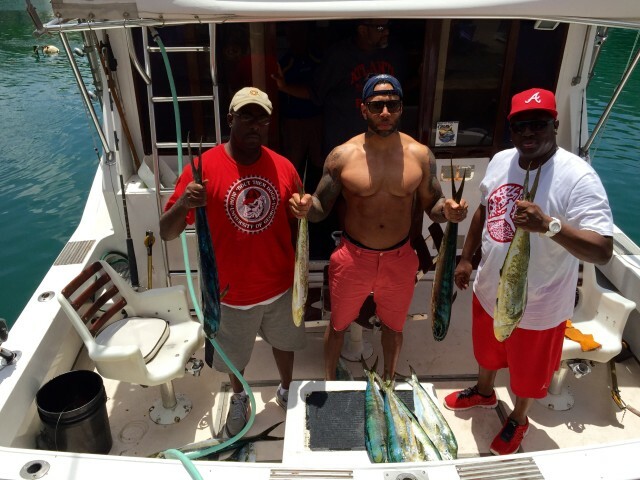 While in Barbados, I went deep sea fishing for the first time. I really had no idea what to expect other than what I may have seen on television. 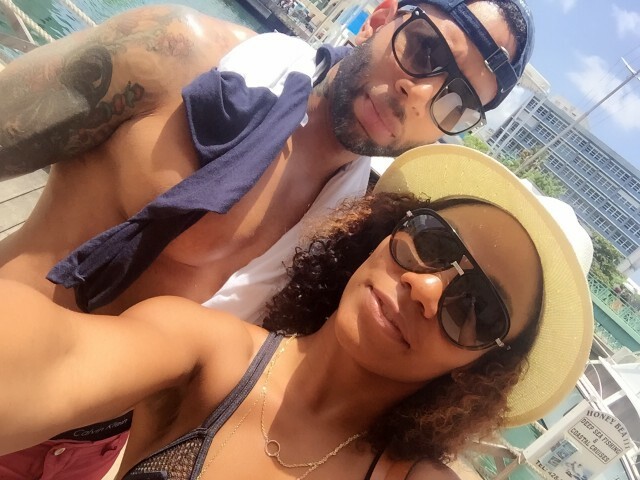 We were scheduled to set out at 7:30am from the shores of Bridgetown, Barbados. Trying to stick to my routine, I got up early- ran a quick mile with Laquisha. Had a protein shake, ate a tuna sandwich (since we were heading out before breakfast was ready). And off we go! It was 5 of us altogether. Out of the 5 guys, 2 of us were rookies …lol! 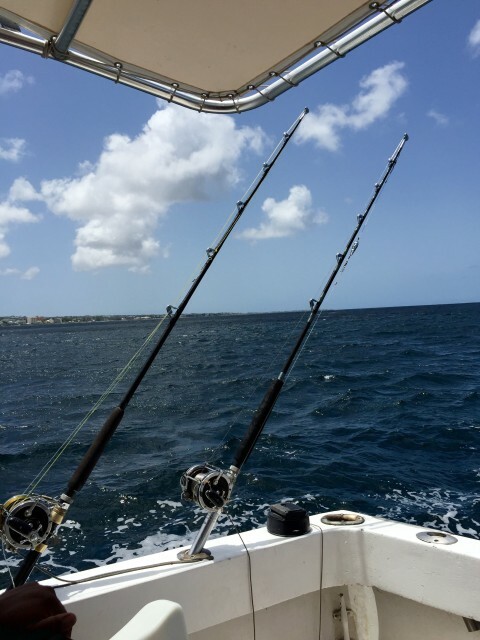 So we get on the boat heading about 20 – 30 miles off shore. About 15 minutes in-I start to feel the spicy food and rum punch from the night before. Not to mention the tuna and protein shake I had that morning. After returning from the head (restroom), I was ready to catch some fish. 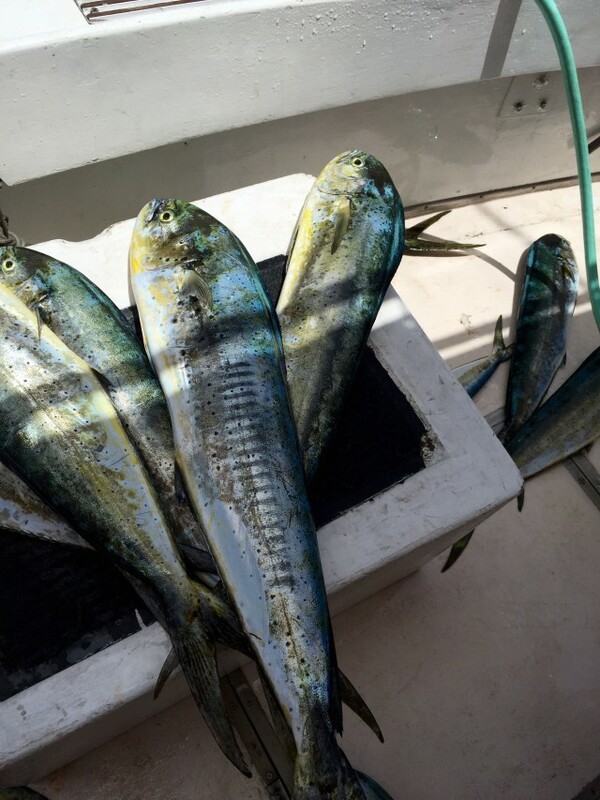 That’s when I was schooled on trolling for dolphin fish (Mahi Mahi). 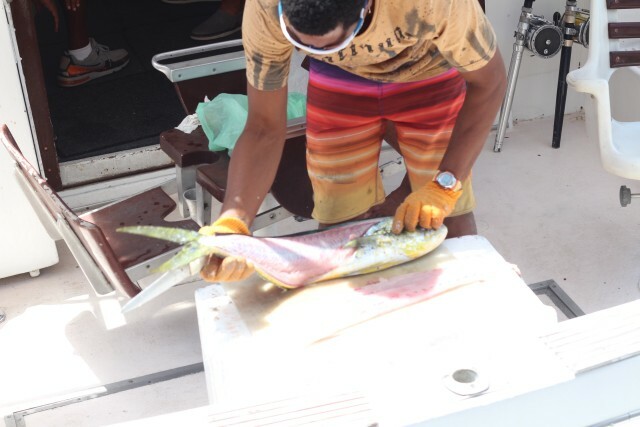 Basically we bait the lines with ballyhoo (a favorite food of dolphin fish) and drag the bait until we get a bite. Apparently, dolphin fish like to swim near sea moss so we drove towards every patch of sea moss we could find. Imagine fishing off a roller coaster. lol! As I’m holding on for dear life, I’m watching the deck hand walk around casually with no shoes and smoking a cigarette. HA HA! No big deal ..lol! While we are joking around and taking in the views, one of the lines starts to bend. We were reeling in dolphin for about an hour straight catching 12 fish total. Everyone caught fish for dinner! Once the adventure wore off, I headed to the cabin to cool off in the shade. Had a little water, BIG MISTAKE…lol! Trying my best to hold it together, eventually I let go of my pride and headed to the stern (rear) and assume the position. 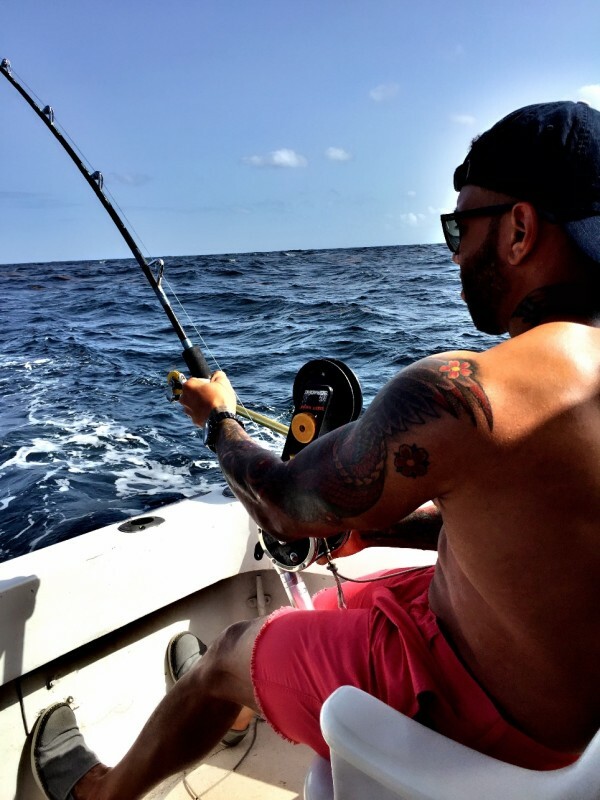 I will not be drinking on my next deep sea fishing trip…HAHAHAHAHA! After four hours at sea, it was time to head home. Once we docked the boat, the deckhand took photos of us and filleted the fish. 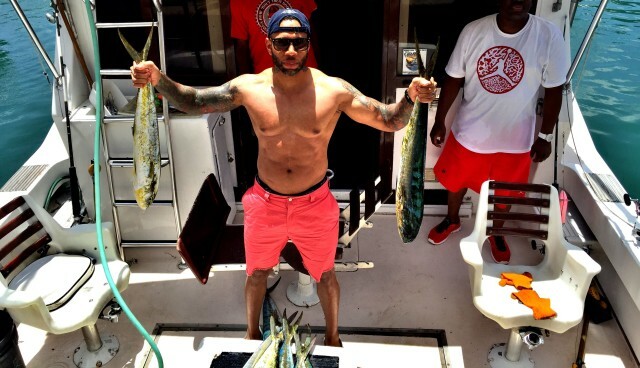 After my first experience deep sea fishing, Ive definitely learned a few do’s and don’ts. And already looking forward to the next fishing trip. The wives showed up to greet us after our adventure! Ready to see what we caught for dinner…jokingly skeptical if we actually caught the fish ourselves. lol! Dinner was served! 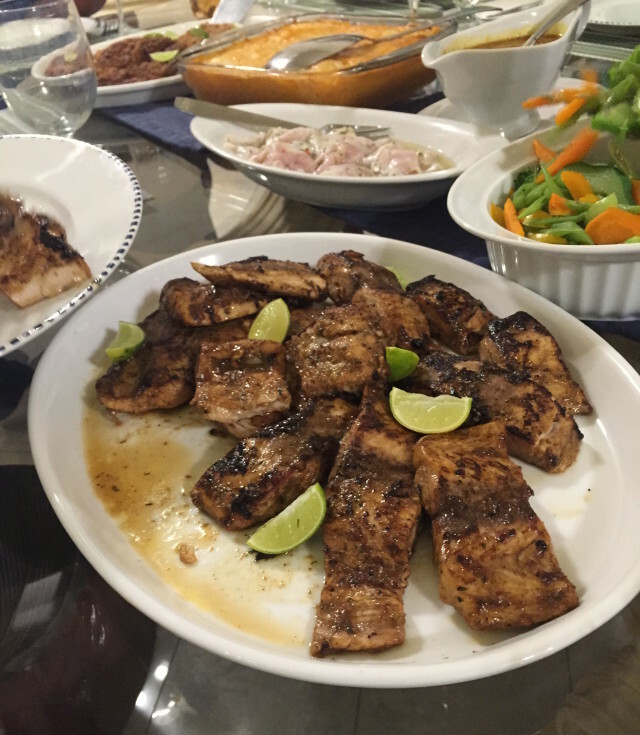 The Chef prepared several dishes with the Mahi Mahi we caught. Including a fresh Mahi Mahi ceviche.